During a sonogram at 15 weeks, Jeanie and Shaun Glenn of Seward, Alaska, found out their baby’s heart was off center. 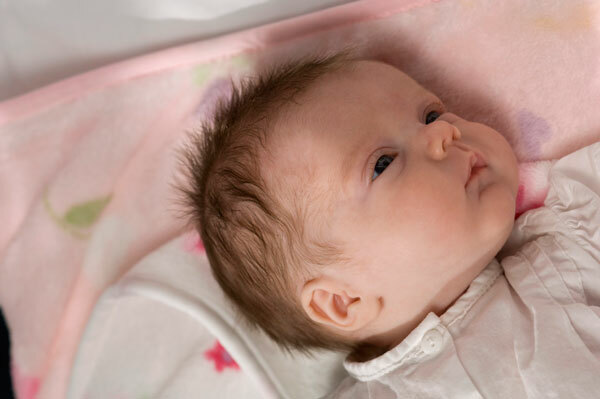 Additional tests eventually revealed congenital diaphragmatic hernia (CDH) with the liver, spleen, stomach and a portion of intestines all squeezed above the diaphragm into the chest cavity. 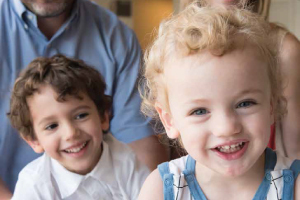 When Jenny and Tawa Torry lost their first child to birth defects caused by congenital diaphragmatic hernia (CDH), they never dreamed they’d have to face the same heartbreaking possibility again. Like so many expecting parents, Amy and Joe Krese went into their 20-week ultrasound with a mix of excitement and apprehension. 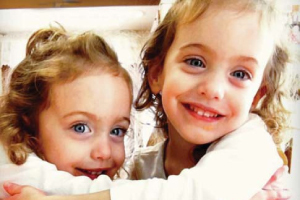 They were overjoyed to find they were having a girl but also learned their daughter had a bilateral CDH. After the long weekend, we had an ultrasound at a maternal-fetal medicine clinic in Grand Rapids, Mich.; the diagnosis was confirmed. Right-sided CDH, the rarer and more severe side. To look at Allen Brothers today, you’d never know he had a rough start in life. Today, he’s a healthy 14-year-old, full of all the sass and attitude that comes with being a teenager, says his mother Christie. Aiden Rodgers is a fun-loving and mischievous 2-year-old who has no idea how serious his early days were. Before Luke Vela was even born, his big brother nicknamed him Tuff because of the challenges he’d already overcome. 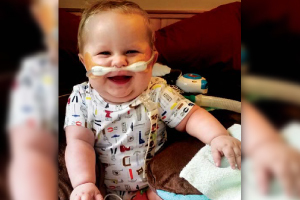 On Oct. 31, baby Eli will be five months old, but his journey getting here was nothing short of a miracle. 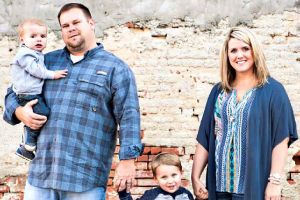 It all started during Lacey Prejean's 12-week pregnancy appointment. 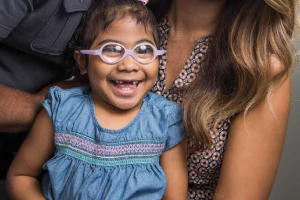 At their 18-week ultrasound, expecting parents Ashley and Jason learned their daughter, Olivia, had signs of spina bifida. 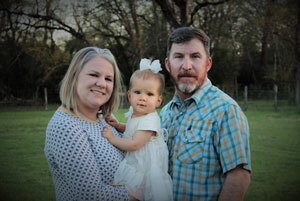 Learn more about their journey at Texas Children’s Fetal Center and how the Fetal Team saved their daughter’s life with this innovative fetal surgery. 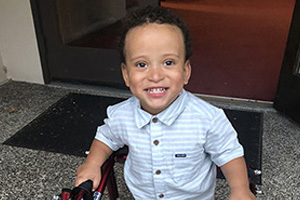 Canezaro Family first to undergo successful two-port fetoscopic spina bifida repair in U.S. When Althea Canezaro found out she was pregnant, she was thrilled to give her son, Blaine, a sibling. 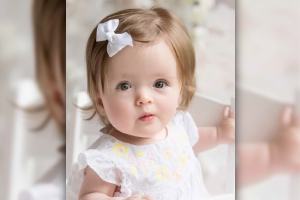 But, her 22-week ultrasound revealed something she didn’t expect - spina bifida. 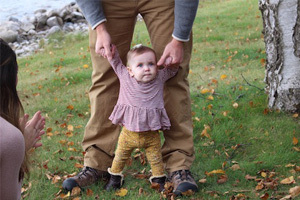 Julia Wallace vividly remembers the moment a routine ultrasound revealed her unborn daughter had myelomeningocele, a type of spina bifida. Like most first-time parents, Johnna and Adam Kerres of Rock Island, Illinois, were excited to mark every milestone of their pregnancy. 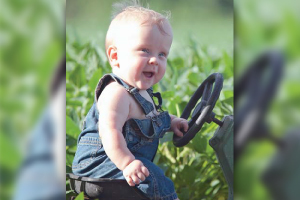 Until, that is, an ultrasound at 18 weeks revealed their baby boy Everett had spina bifida. 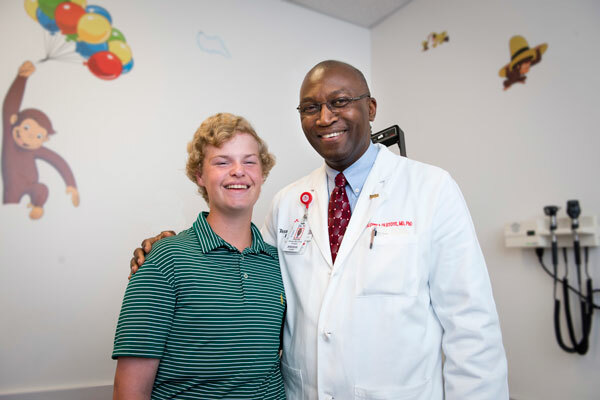 Texas Children’s Hospital fetal surgery to repair spina bifida birth defect saves child from paralysis, brain damage and other life-altering complications. 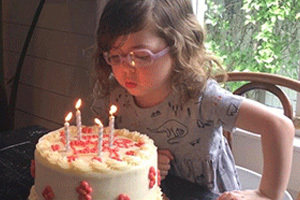 Nine years ago, at their 20-week ultrasound check, Keri and Chad McCartney were thrilled to learn their fifth and final child would be a girl. But that excitement quickly turned to fear. 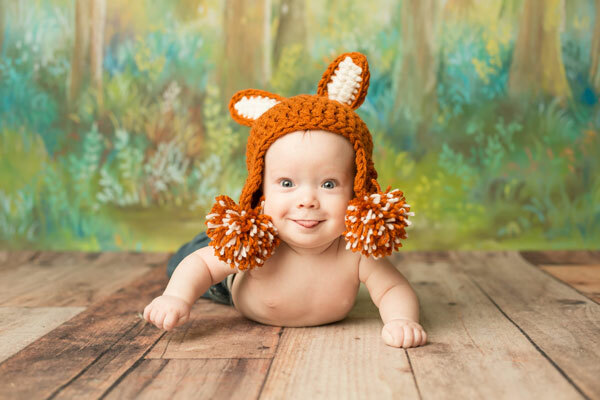 Expecting parents Rachel and Levi Strauss were heartbroken when they discovered their unborn child, Leo, was diagnosed with a fetal heart defect, Tetralogy of Fallot with pulmonary atresia and a ventricular septal defect.